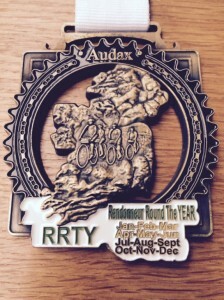 Randonneur Round the Year (RRTY) is awarded to any rider who completes at least one approved Brevet ride of minimum 200k each month for any 12 consecutive months. The following events count as qualifiers. ii) Permanents as approved by Audax Ireland. iii) Audax Events in other countries. In the event of the cancellation of a calendar event (due to harsh weather or unforeseen organisational difficulties) the committee will examine the feasibility of allowing participants to complete an additional event the following month. This extra event will count for the one missed the previous month. All participants most have a valid Cycling Ireland Licence. It’s not necessary to ride a different event each month for the 12 months. The same event may be ridden for different months with no limit on the number of times it may be repeated. You can start your RRTY in any month as long as you complete an approved brevet every month for the next 12 months. 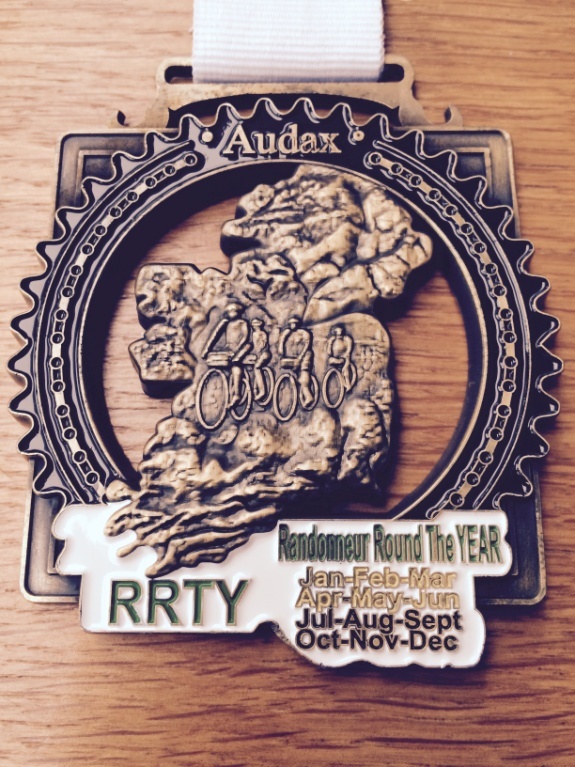 The optional RRTY Medal costs €11 including postage, which can be paid to paypal@audaxireland.org, or sent by post to Niall Diamond, 17 Sandyford Road, Dundrum, Dublin 16. Don’t forget to attach the details of the 12 brevets you wish to count towards your RRTY.